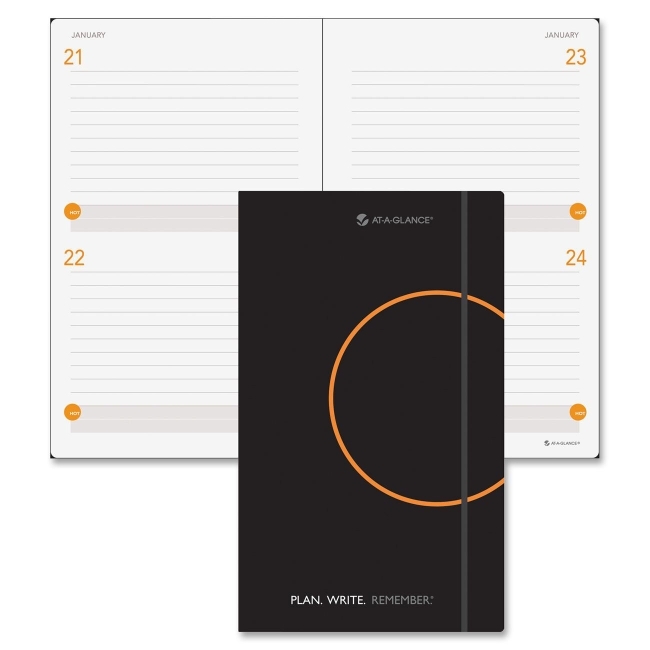 Daily planning notebook helps you to plan, write and remember so you have an effective vehicle for your ideas and plans. Perfect-bound, soft, simulated leather cover with bungee closure protects the dated planning pages. You can store loose paper in the gusset pocket. One-page-per-two-day format includes ruled planning space for most of the daily entry and a Hot-spot reminder section at the bottom. Business notebook also offers a ribbon page marker, three-year reference calendars and bonus information pages including index, contact and event-planning pages.